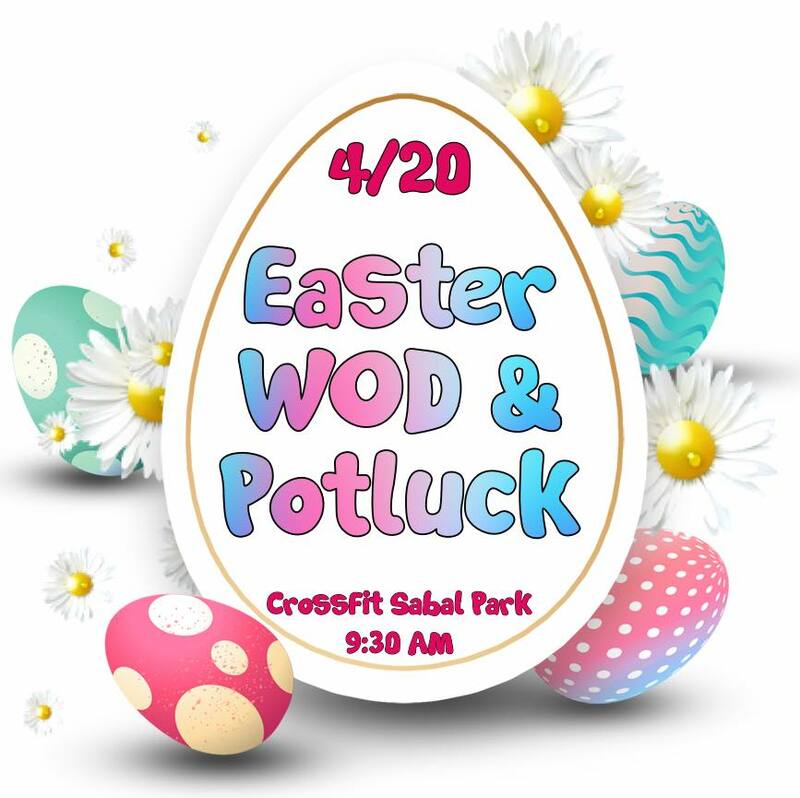 Join us for a family friendly WOD and Potluck! Bring the kids to do a parent/child egg hunt WOD, or bring a friend and do an adult partner WOD. After the workout is done we will grab something to eat and hang out!